Grand Bay National Estuarine Research Reserve. 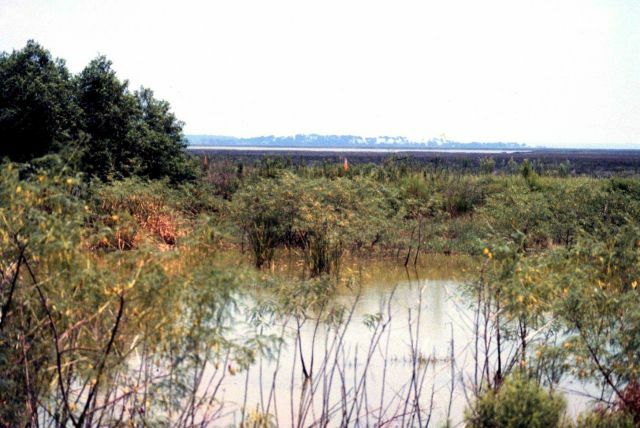 Emergency oil spill retention pond with fresh water marsh habitat at Chevron sour-oil refinery - looking east toward tree line along Bayou Cumbest. 1997.